Reviewers of journal publications and research grant proposals often request to justify the number of observations and measurement occasions used in the study. These are in fact questions about the statistical power of the performed tests; that is, about the probability of rejecting a particular null hypothesis when it is false. Whereas power analysis methods have been developed for many statistical techniques, these are currently lacking for mixture models. 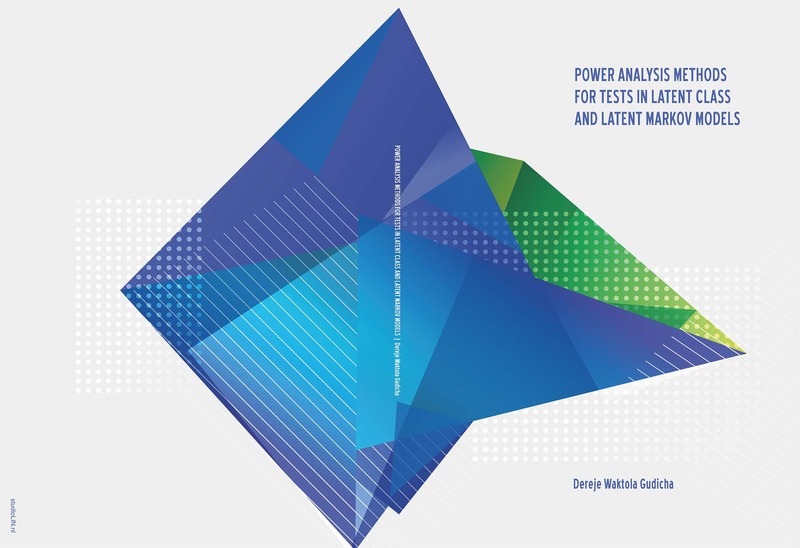 This dissertation aimed to fill in this important gap in the literature by developing power analysis methods for the most important tests applied when using mixture models for categorical response variables. Methods are described for a) determining the data requirements to achieve a certain (acceptable) power level ( for example, for determining the necessary sample size or number of measurement occasions to achieve a power of .8 or larger) and b) performing power calculations to evaluate whether a specific study design yields an appropriate power level for the statistical tests of interest. An additional objective is to learn more about the design factors affecting the power of statistical tests in latent class and latent Markov analysis, which will make it easier to design studies with sufficient power, and thus to use available resources more efficiently. Mixture modeling has become a standard statistical tool for clustering and modeling individual differences. Whereas the field of mixture modeling is well developed in terms of available models and software implementations, little is still known about the requirements of the study design to achieve enough power for the relevant statistical tests. The aim of the proposed project is to make power analysis feasible for both simple mixture models for cross-sectional data and complex mixture models for longitudinal and multilevel data. Researchers will be able to use available resources more efficiently if tests have the required power levels.